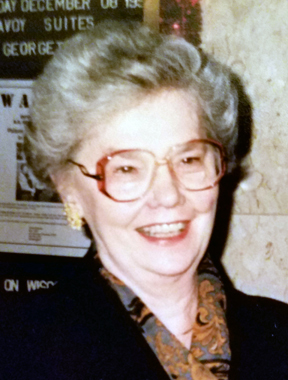 Aldona Ann (Tautkus) Antonelli, 96, died Friday (January 25, 2019) at her home in West Deer Township. She was born on November 14, 1922 in North Braddock, PA to the late Anna and Josef Tautkus, who had emigrated from Lithuania. Aldona grew up in Donora, PA, where she graduated from Donora High School in 1941. Three years later, she graduated as a registered nurse from the St. Joseph Hospital School of Nursing in Pittsburgh’s South Side. During World War II, Aldona worked at the Marine Hospital in Lawrenceville, where she met a US Merchant Marine Cadet and her future husband, Vincent Antonelli. Aldona and Vince were married on June 12, 1948 at St Joseph’s Catholic Church in Donora. While raising their two children, Christine and Carl, Aldona kept her nursing skills current by working part-time at Passavant Hospital and as the school nurse at West Deer High School. Aldona also volunteered during the massive projects of the 1950s and 1960s to inoculate school children against polio and measles. Aldona loved antiques, history, and reading. She also enjoyed traveling with Vince, visiting locations all up and down the Eastern United States and Canada. They also later traveled to Hawaii, Italy, Austria, and Switzerland. Aldona was always very proud of and fascinated with her Lithuanian heritage, so her last big adventures were to visit Lithuania in 2006 and 2007. She is survived by her daughter, Christine (Bruce) Taylor, of The Villages, FL and her son, Carl Antonelli, of West Deer; grandchildren, Brandi, Nicholas, Laura, Alesha, and Amber; and 11 great-grandchildren. Besides her parents, Aldona was preceded in death by her beloved step-father, Anthony Viscus; her husband of 52 wonderful years, Vincent N. Antonelli; her brother, Paul Tautkus; and her sisters, Antoinette (Toni) Liptak and Dolores Baker.